As software plays an increasingly important role in people’s lives, the impact it has on their values frequently becomes apparent. Many software design methods address “soft issues”, but very few address values explicitly. We present six principles that design methods should meet in order to properly deal with values. 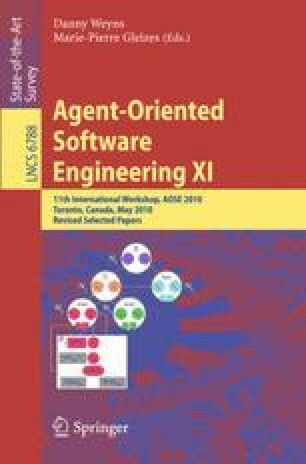 One area in which adherence to stakeholder values is important, is Agent-Oriented Software Engineering (AOSE). The Tropos AOSE method, with its concept of soft-goal, comes close to meeting our principles, but does not address values explicitly. Value-Sensitive Design is a methodology that does explicitly address value issues, but it offers little guidance in operationalizing them. We discuss a case study in which we attempt to capture values in Tropos’ soft-goals after eliciting them using Value-Sensitive Design. Subsequently, we discuss to what extent Tropos adheres to our principles. Finally, we propose the introduction of values as a first-class entity in Tropos in order to meet our aims of dealing with values.